Memories From Parkland Memorial Hospital. 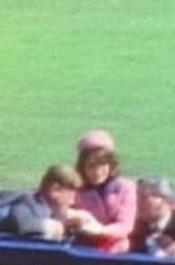 FBI Interview With JFK's Motorcade Driver. FBI Interview With Secret Service Boss. JFK U.S. Navy Death Certificate. Police Notes Of Oswald Interrogation. FBI Report On JFK Autopsy. House Committee Interview With FBI Agent. NSA Report: Castro Feared U.S. Invasion. NOVEMBER 21--With tomorrow marking the 50th anniversary of John F. Kennedy’s assassination, below you’ll find an assortment of links to documents related to the 1963 death of the 35th U.S. president. Included in the material are notes from the Dallas Police Department’s interrogation of Lee Harvey Oswald; JFK’s autopsy reports; an FBI interview with the Secret Service agent driving Kennedy’s vehicle; the late president’s death certificates; and evidence photos, including a picture showing the bloodstained t-shirt cut off Oswald after he was shot by Jack Ruby. The records were compiled from an assortment of governmental agencies by the federal Assassination Records Review Board.